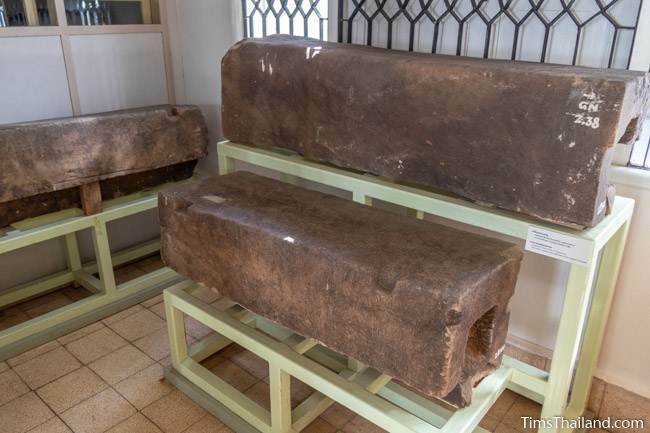 Probably the smallest national museum in Thailand, the Maha Viravong National Museum (พิพิธภัณฑสถานแห่งชาติมหาวีรวงศ์) occupies one little room on the grounds of Wat Suttha Chinda in central Khorat city, 350 meters south of the Thao Suranari Monument. 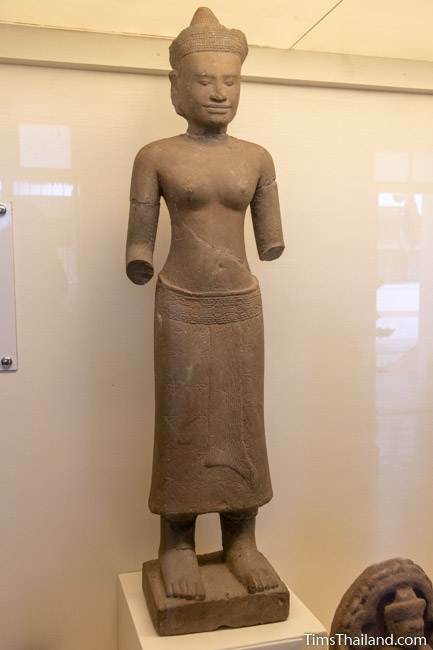 Most of the artifacts come from the private collection of Somdej Phra Maha Viravong (Oun Tisso), the temple's former abbot. 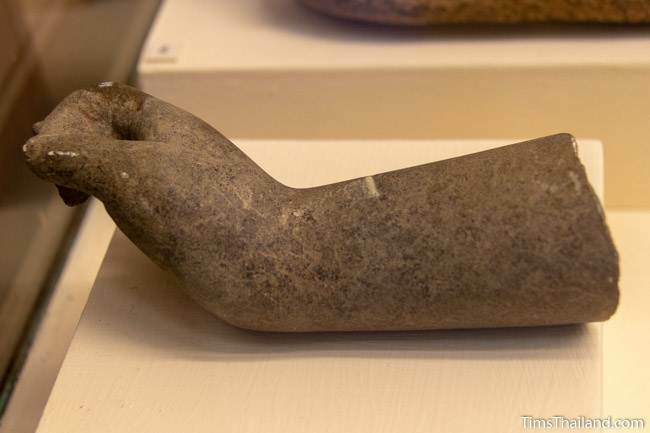 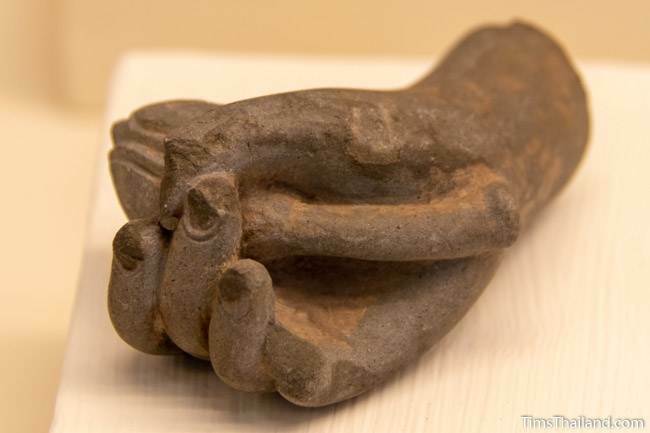 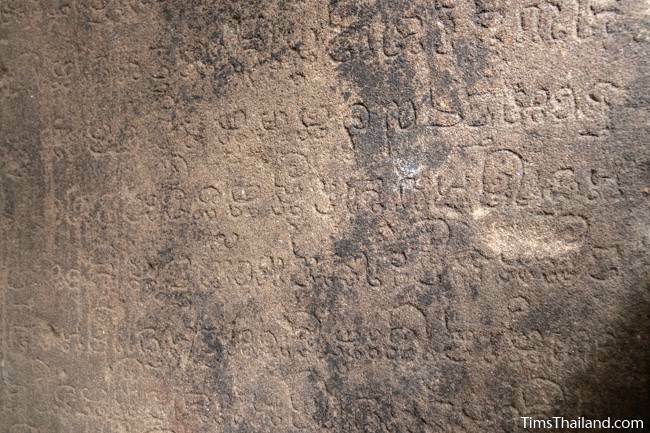 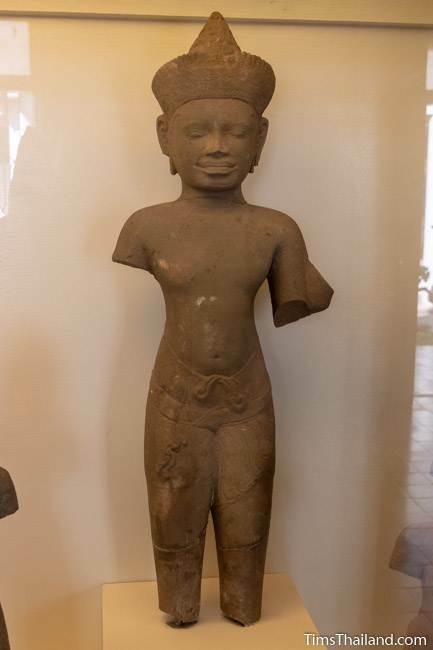 And since they were generally just given to him by locals, most of the Khmer antiquities are "providence unknown." 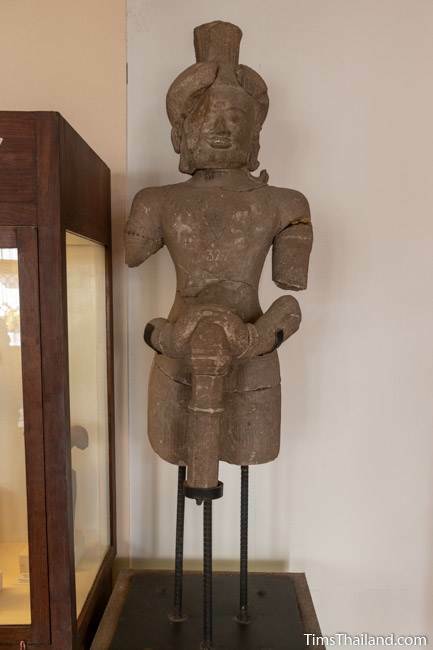 In 1927 he passed everything onto the Fine Arts Department, which put it on display here, along with some other objects, in 1954. 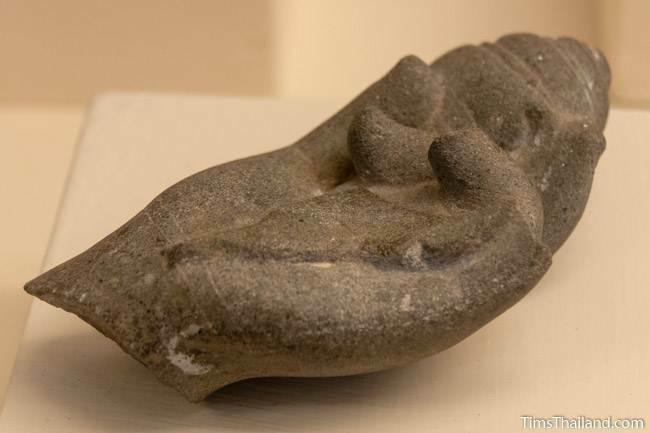 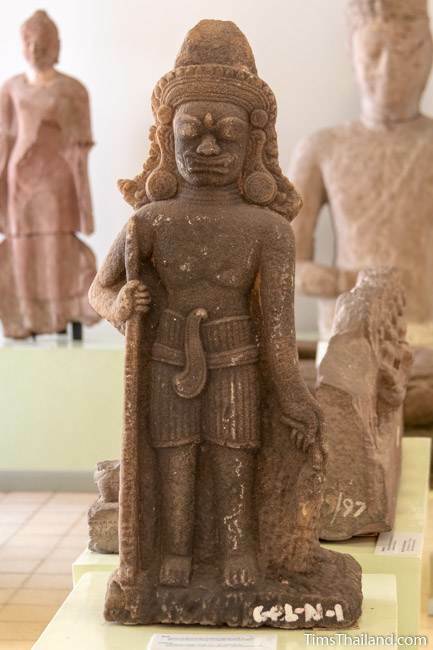 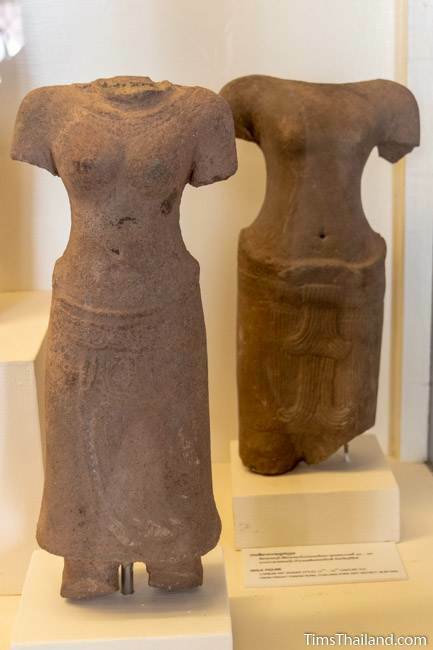 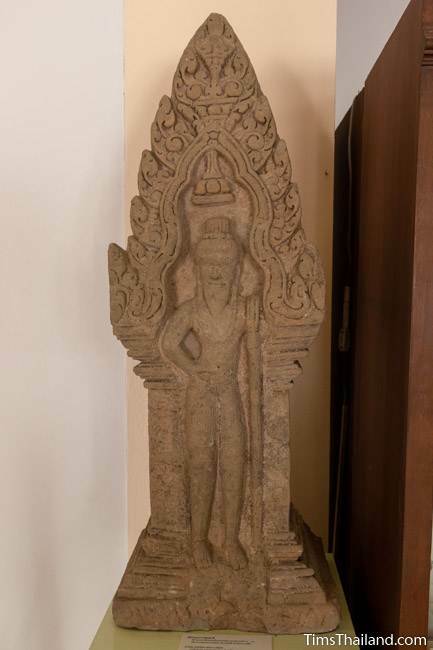 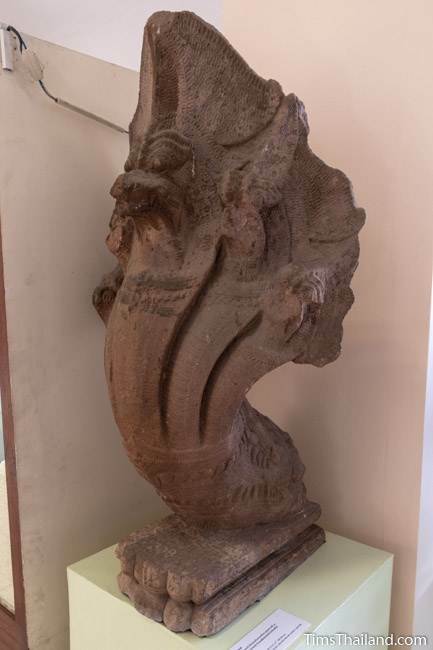 As of November 2018, these are all the Khmer artifacts from a known location on display.